The Most advanced revolution in the anti-ageing industry. 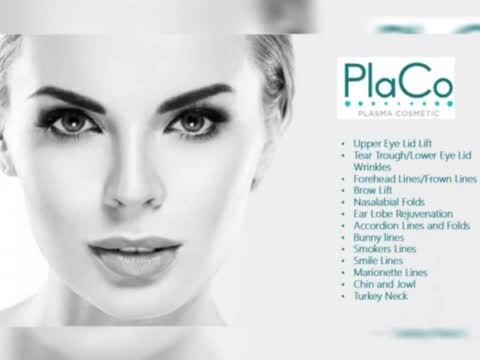 The PlaCo Skin Tightening Treatment uses advanced plasma technology, that allows for a quick, non-surgical, non-invasive treatment that reduces excess skin, bags and wrinkles. It is revolutionary in wrinkle smoothing and eyelid tightening. The result is long lasting with area concerned being clearly and visibly tightened.